Have you been employed as a project manager? Then, of course, there will be multiple tasks with which you have to deal with all throughout the day. A project manager has to do multiple tasks like facilitators, managers, problem-solvers and an interpreter who works to understand and translate various business needs. As a project manager, you might be excellent in doing your job and have certain skills that can set you to define long term goals. But with the changing trends and the fast-moving world, sometimes even the great skills of project managers are unable to meet the project needs and requirements and often make it difficult to project managers to deal with every challenge that comes across them. Better Communication: Building a better communication platform is one of the most important skills that the project manager should have. It is important for the project manager to speak the language as their client. Good communication skills help the project manager to resolve or prevent any kind of issue that arises in the team. An ideal project manager is the one who is the sole translator, share unhindered information and update and prepare his team to face challenges. Good Leadership Qualities: Leadership quality helps the project team to overcome obstacles, build on and use their strengths and to motivate the team. It not only help the team to move forward but also helps the client to be on track and prevent them from getting overwhelmed. As a project manager, it is your duty to be familiar with each team member's strength and weaknesses. This helps him to predict challenges and the ways to overcome them. Be Adaptable: Since the market and business environment changes every day and therefore whether it is new processes, standards or technologies it is good to be adaptable to those changes. Also, it is good to work with your team and prepare them for the changes. Show Care and Concern: The team likes the leader who shows their concern and care for its member. As a project manager, it is good to show empathy during a good and bad time. Discuss the day with your team, help them to resolve the issue. Developing an attitude of active listening resolves half of the issue and help you and your team to find a better solution for the problem. Appreciate your team for the success they achieve and motivate them for future upcoming. Better Organization: The project manager wears many hats and is often seen as a multitasker. But in reality, a project manager is not able to perform all the task alone, they need the support of their team and organization. It is essential to prioritize tasks, to discuss things of the project to avoid confusion, and to clearly interpreting things clearly that help you and your team to access the future task easily. 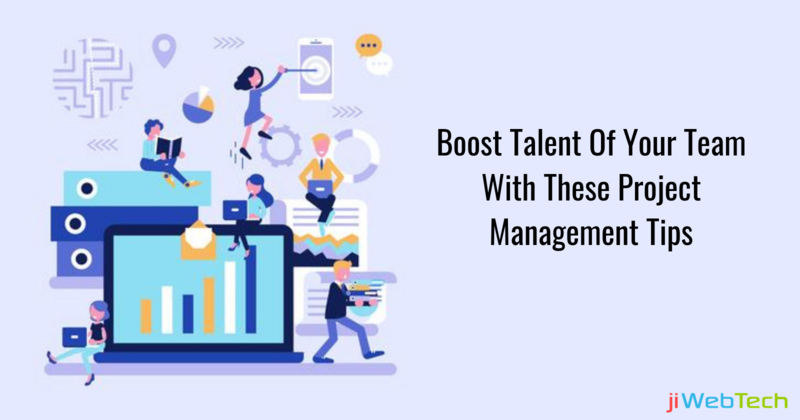 You would be a good project manager and have all the qualities but to perform all your task efficiently and effectively it is important to choose the better solution that not only work best for you but also help your team to progress. There are many project tracking and project management software and solutions that help you to zoom every minor detail of your project and help to keep your performance on the track. Choose the one that best meets your need and help you deliver the best result both to your team and clients.